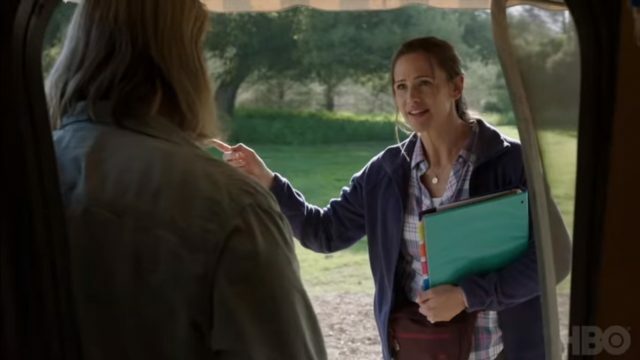 HBO has released the official trailer for their upcoming comedy series Camping starring Golden Globe winner Jennifer Garner (Love, Simon, Peppermint) as Kathryn and David Tennant (Jessica Jones, Doctor Who) as Walt. The trailer gives the audience a glimpse on how controlling Kathryn can be and how crazy camping can get. Check out the video below! To celebrate her husband Walt’s 44th birthday, the obsessively organized and aggressively controlling Kathryn gathers together her meek sister, her holier-than-thou ex-best friend, and a free-spirited tagalong — and what was supposed to be a delightful, back-to-nature camping trip quickly becomes a weekend of tested marriages and woman-on-woman crime that won’t soon be forgotten. Camping follows a group of friends as they arrive at the underwhelming Brown Bear Lake campsite to celebrate a landmark birthday, sparking heightened emotions, latent tensions (sexual and otherwise) and memories they’d rather forget. Other series regulars include Oscar nominee Juliette Lewis (Cape Fear), Arturo Del Puerto (Independence Day: Resurgence), Ione Skye (Fever Pitch), Janicza Bravo (Divorce), and Brett Gelman (Stranger Things). The recurring cast includes Bridget Everett (Trainwreck). The series is executive produced by Lena Dunham (Girls), Jenni Konner (Girls), John Riggs, Julia Davis for Hush Ho, Christine Langan for Baby Cow Productions, Ilene S. Landress, Tom Lassally, and co-executive produced by Adam Countee. The pilot will be directed by Jenni Konner. The eight-episode season, based on the British series of the same name created by Julia Davis, will debut on October 14 on HBO. The post Set Up Your Tents With the Official Trailer for HBO’s Camping appeared first on ComingSoon.net.